Home › Campaigns to Dismantle Corporate Power › The Right to say No to Mining! Yes to our future! The Right to say No to Mining! Yes to our future! 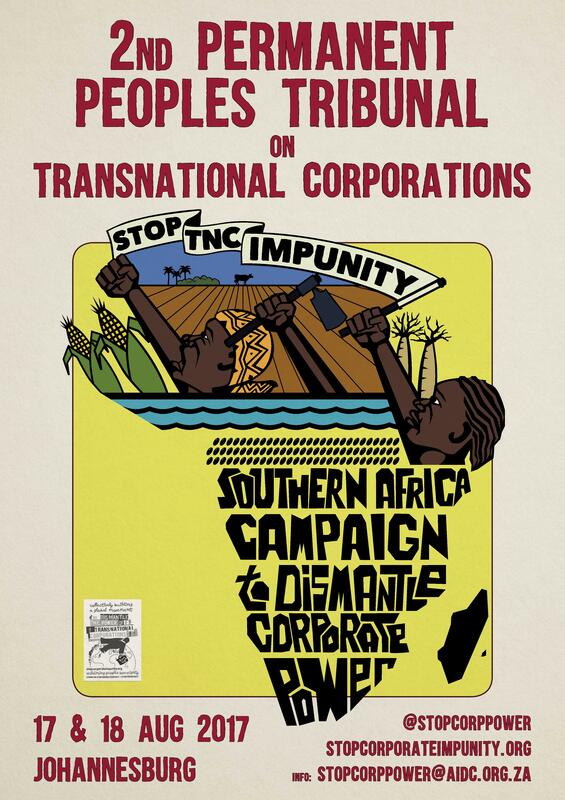 The Tribunal was the 2nd Session of the Southern Africa Permanent Peoples’ Tribunal on Transnational Corporations and is one component of the Southern Africa Campaign to Dismantle Corporate Power. 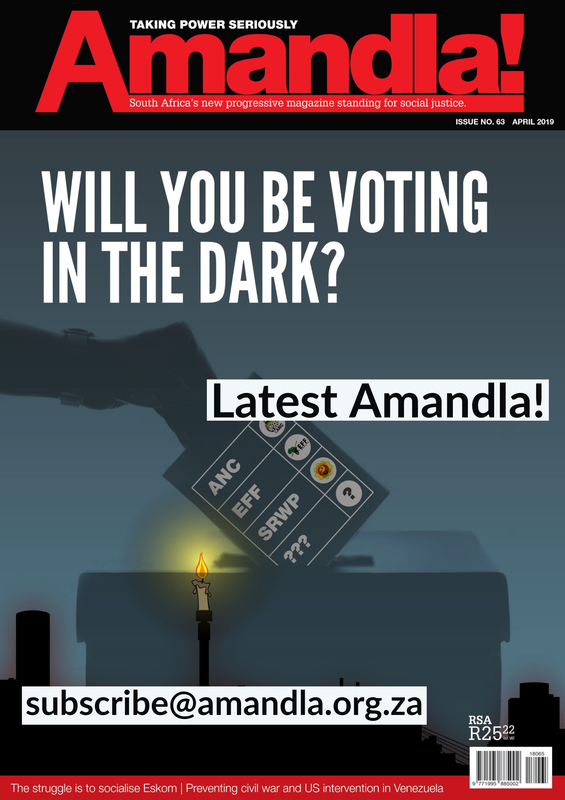 It took place in Johannesburg, in the Old Women’s Jail at Constitutional Hill. Over two days 7 communities and movements from Mozambique, Zambia, Malawi, Tanzania, Madagascar and Mauritius gave testimony, through presentations which they had developed over several months. They talked of their struggles against not only TNC’s but the entire architecture of impunity which enables corporations to loot and plunder with total disregard for human rights, the most basic of which is the right to a decent life. 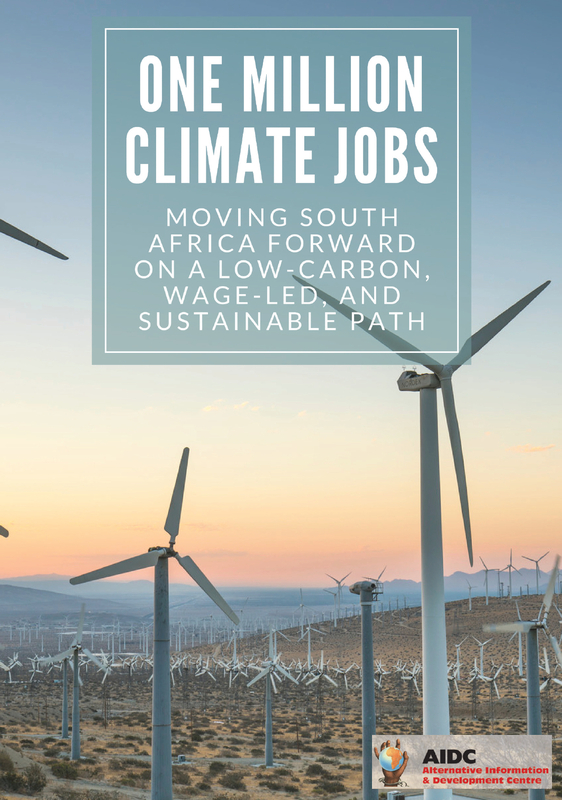 The Tribunal formed part of the Southern Africa People’s Solidarity Network’s annual Peoples’ Summit, taking place parallel to the SADC Heads of State Summit, and the same issues of corporate power were echoed in assemblies of unemployment, women and extractivism. The Tribunal crossed a spectrum of devastation of peoples’ livelihood and environment, caused by corporations. The overarching theme was land, food and agriculture, and three cases focused specifically on food systems. The first was presented by the No to Prosavana Campaign from Mozambique, which spoke of the future destruction growing out of the Japanese, Mozambican and Brazilian governments’ ProSavana program, which will wipe out hectares of agricultural land to make way for transnational industrial farming were it to go ahead. Another was by the Rural Womens Assembly (RWA) in Malawi, on Monsanto and the eradication of food input subsidies to small scale farmers. And the third was also by the RWA in Zambia on the undermining of small-scale women dairy farmers by the giant Italian company Parmalat. “We have been empowered in our dairy co-operative…but this is now destroyed by Parmalat’s fixed price for our milk production,” said one woman farmer. “We produce at a loss, not taking into account the constantly rising costs of feeds for our cows”. These farmers have lost their small stock of cattle due to starvation and are now heading towards severe impoverishment. A recurring theme in the cases is that women are often leaders in resistance, and this was an opportunity for their voices to be heard, loud and clear. There was also a presentation from a group of Mozambican communities who told how they have lived for almost 2 decades with a gray cloud over their heads, that their land and belongings would be flooded by a dam. They are unable to plan their future and constantly fearing forced eviction and that their land could be taken away without notice or fair compensation. That grey cloud raining down 17 years of false promises and stolen futures is the Mphanda Nkuwa dam project, which they say is causing injustice even before the first cement is poured, and the worse is still to come. Members of the Legal and Human Rights Centre from Tanzania told of how they were imprisoned for 5 months by the Malawian government and accused of being spies. They were arrested as soon as they crossed the border while on a fact-finding mission to see the impact that Paladin’s now defunct Kayalekera uranium mine, has had on the surrounding community. This was as part of their struggle to prevent the company from creating the same destruction in Tanzania. This criminalization of dissent and violent suppression of resistance is not isolated – the community who presented a case at the 2016 Tribunal on the Marange diamond mines in Zimbabwe, came back this year to give feedback, and spoke of the continuing physical and sexual violence perpetrated against community members who stand up to the companies in the region. This case was one of the 9 which were presented in Manzini in 2016, at the 1st session of this Tribunal. The presenting communities and organisations returned to give feedback on their struggles a year on. All said that their experience in Manzini had left them inspired, and feeling stronger to continue their resistance and protect their livelihoods. The Call for claiming the Right to Say No! was reflected in all the cases, resisting the corporate destruction of livelihood. The affected communities also shared their strategies of survival and alternatives. But it was not only extractivism and land struggles that were the focus of the Tribunal’s proceedings. One of the most significant contemporary struggles, which has only recently begun receiving the amount of attention it deserves, is that of tax havens and illicit financial flows. The Centre for Alternative Research and Studies of Mauritius presented on how the government of Mauritius with its web of global Double Taxation Treaties is making it ridiculously simple for Transnational Corporation’s to hide their profits with total anonymity, thereby avoiding wages and taxes in the countries of operation. So why is the Permanent Peoples’ Tribunal so important? According to Nnimmo Bassey, a member of the Jurors, “This tribunal is providing victims of TNCs and grassroots defenders an excellent space to state their cases, expose impunity, and build connections and strategies with other activists and communities from other countries in the region. This will allow them to build a stronger platform of struggles to overturn the abuses perpetrated by those corporations”. Anabela Lemos, from Justiça Ambiental/Friends of the Earth Mozambique, said that exposing corporate crimes and giving visibility to the cases and resistance is part of the process of changing the system that allows corporations to grab and control resources and oppress people in impunity. In going forward, the Campaign will focus on facilitating the mobilisation and convergence of affected communities by Transnational Corporations. It will build links with other social movements already collaborating in the process of the Tribunal and bring to fruition activities which will strengthen the network and the struggle to dismantle corporate power and reclaim peoples’ sovereignty. It is hoped that after the third and final session of the Tribunal, which is likely to be held in August 2018, the basis for a powerful campaign that recognizes the right of communities and peoples to say no to corporate maldevelopment will be codified in SADC and African Union protocols.